This Bell & Ross Vintage Original Beige BR 126 watch has a timeless aviator styled 41mm satin-finish stainless steel case, a beige dial with photoluminous hands and hour markers for optimal readability, a curved anti-glare sapphire crystal, and a brown calfskin leather strap. 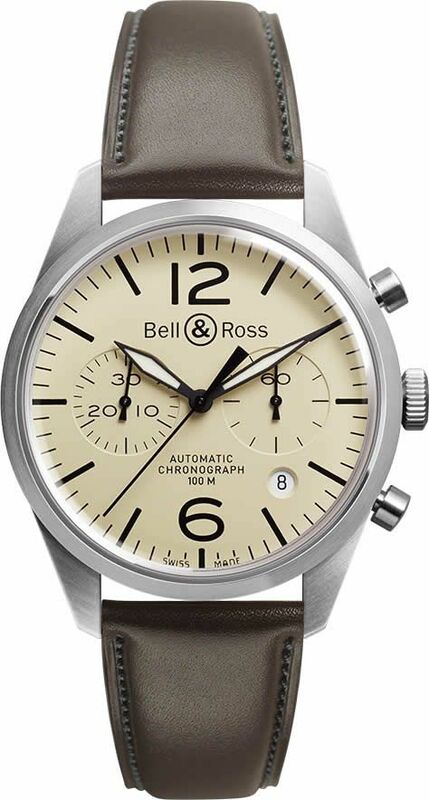 The Bell & Ross Vintage Original Beige BR 126 watch is powered by an automatic movement with a two counter chronograph with date. It is water resistant to 100 meters.